HIGH ART Numero commissioned graphic artists Mike Davis and Michael Gaughan to create the fictional film poster for Brotherman. 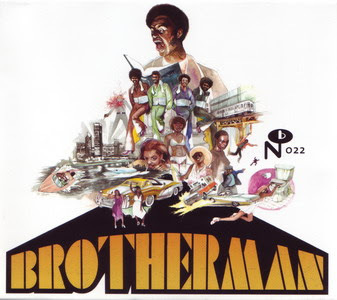 Continuing a tradition that began with Sweet Sweetback's Baadasssss Song, and culminated with Shaft and Superfly, Brotherman was a blaxploitation film set to hit screens in 1975. Prior to the script being finished, the producers commissioned an original sound track to be performed by The Final Solution, a fledgling vocal group from Chicago's west side. In classic Numero fashion, before even one foot of film was shot, the plug was pulled and the movie was cancelled. Dragged around for 30 years by songwriter, guitarist and arranger Carl Wolfolk, the tapes of his life's work have finally been mixed, and the soundtrack album has been augmented to include two orchestrated instrumentals intended for the film. 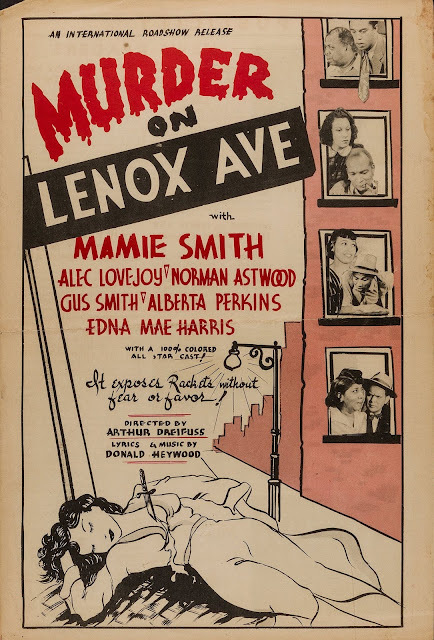 Having no stills from the film to work with, the Numero Group tasked Minneapolis' Burlesque of North America to paint a cover that could withstand the scrutiny of any blaxploitation poster geek. The deluxe single disc set is housed in our standard slipcase, with a plush booklet detailing the known history of the film and the group that created the music. Record geeks unearth Chicago’s own Super Fly. 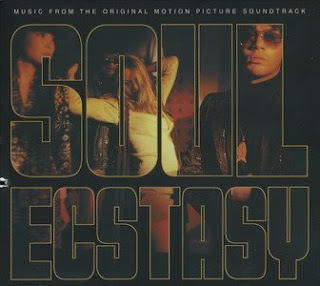 Great soundtrack to the long lost 70's Blaxploitation movie Soul Ecstasy. With a plot containing such volatile content as The Black Panthers collaborating with the Red Chinese, young girls kidnapped and sold to Hong Kong bordellos, Soul Ecstasy didn't get much of a theatrical run before it was closed down by 'The Man'. Sadly, the only existing print of the movie was destroyed in a fire, but luckily for us the master tapes of the soundtrack were tracked down and have been released here for the very first time. It's a groovy, funky and very cool sounding blaxploitation soundtrack with hints of Curtis Mayfield's Superfly in the main theme along with with some cool funk and sitars throughout. I used babelfish on Musicdawns russian site and he seems to have the 411 on these guys. They are in fact moonlighting DJ's from the late '90s and actually tried to withdraw this little gem from the market when the trainspotters got wind of their scheme. A pity since this is good music. Thank You Music Dawn for schooling us!! 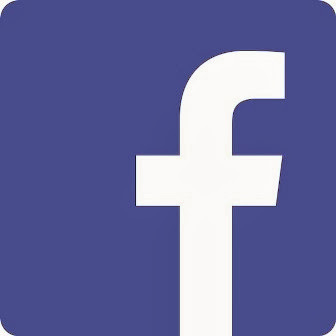 Also make sure you explore the site some. I promise you will find some bangin music there.